Since I live not very far from Greece, I have often combined my vacation there with birding. As the time passed on, I started combining birding with vacation. And, finally, this spring I combined birding with – birding. That is a winning combination. I have a handful of Greek travel guides (not that I am happy with any of them), but what I always missed was a specialised bird-finding guide. 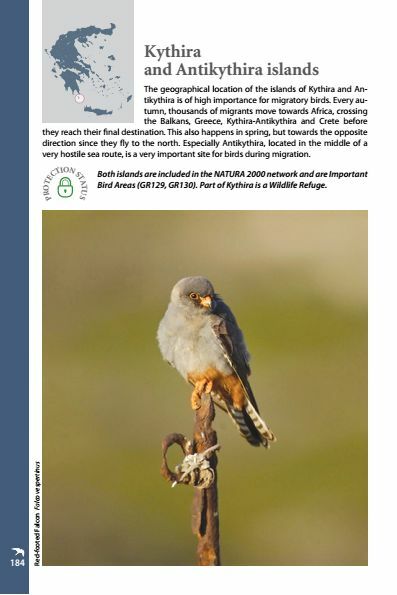 E.g., I was once not too far from a great birding area (the former Lake Karla), where I just drove through, seeing only Lesser Kestrels en route, because I couldn’t find enough on the Internet to justify wandering aimlessly through the area, burning petrol priced as much as in the UK. Greece is visited by millions of tourists every year (over 19.5 million tourists in 2009, funding 16% of the gross domestic product) and among them, quite likely – tens of thousands of birdwatchers. Yet, as far as I know, there was no birdfinder guide for Greece. There were a few guides for smaller areas, such as A Birdwatching Guide to Lesvos by Steve Dudley. There was also one, two decades old – Finding Birds in Greece by Dave Gosney (1993), with title that obscured the fact that it only dealt with the north of the country. True, because of higher precipitation, more luxurious vegetation and higher diversity of altitudes and habitats, east Macedonia and Thrace may offer better birding and a longer bird list, but for those, there is a more informative new book, Birdwatching in Northern Greece – a site guide by Steve Mills (2011, 2nd edition). However, I still wanted a book that would cover the entire country and give me the big picture. 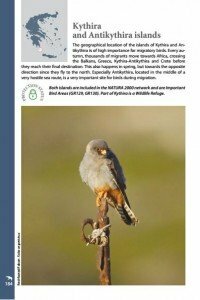 This spring, a week or two ahead of my birding trip to Greece (of which you have read here), such a book was finally published by the Hellenic Ornithological Society (BirdLife in Greece). What is even better, you may download it onto your smartphone, read it online (here) or buy a paper version. Me? I chose paper. 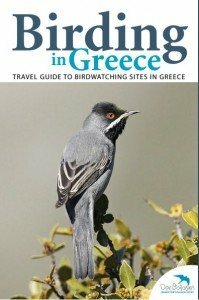 Birding in Greece – Travel Guide to birdwatching sites in Greece (2014, 2nd edition – I was not aware of the first!) is a luxurious, full-colour and heavy – despite being paperback – volume, describing 33 birding areas (some small, some quite large), scattered all over the country, on 240 pages. The book ends with a country checklist, 449 species long, and the contacts of the managing authorities of protected areas. So far, I have read parts of the book, including chapters on areas I have visited (e.g. 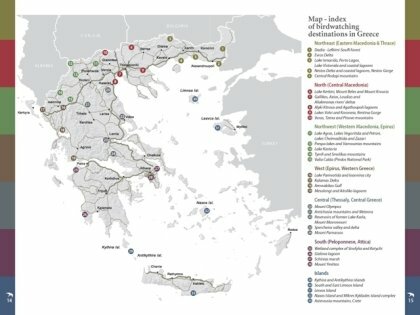 Lake Kerkini, Meteora, Amvrakikos Gulf, Schinias/Marathon Marsh), as well as those I intend to explore soon. Each chapter starts with a small silhouette of the country showing the position of the bird site described in that chapter, continuing with a full-page colour map of the area at the opposite page. Bold sections of the text describe the protection status, access (but only from Athens and not from the second largest and more northern Thessaloniki) and the best time to visit, while target species are further highlighted in a table with statuses, from Winter Visitor to Resident. 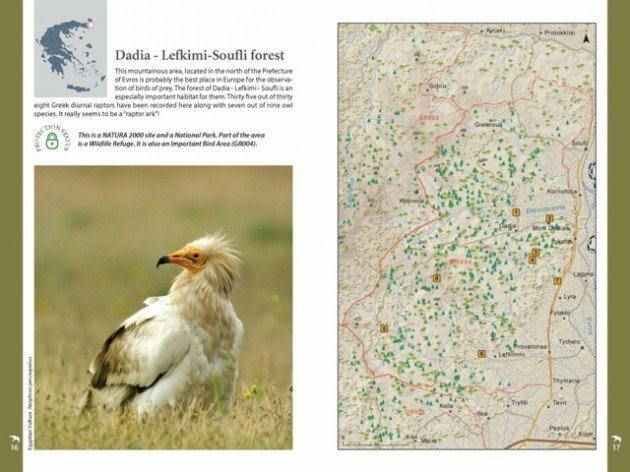 The map has the best bird sites marked with numbers and the text tends to lead the reader along the route, from one such site to another, explaining habitats to watch and birds to expect. Based on the areas I have experience with, I would say that the text is highly informative and that the authors – Vlachos, Trigou and Stavrakas – know their subject in depth. 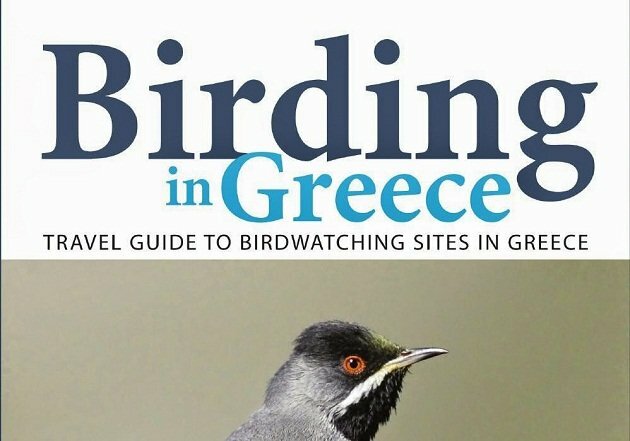 Have I already mentioned that Birding in Greece is a luxurious book? There are a lot of great bird photos by the first author, Chris Vlachos, three to five per chapter. I am certainly not against the photos, they quickly draw your attention to the area specialties, but quite a few species are shown in several photos throughout the book. While it makes for a richer appearance, is it useful? Birders tend to know their birds – at least those we drool over, but what we do not know is the relief, vegetation and habitats of the areas described, and as far as I have noticed there is not a single photo anywhere in the book showing landscape of an area. Describing the proposed route at one site, the authors say (pg. 60): “If you are birdwatchers or photographers, let the light decide for you [where to continue].” This made me thinking – who else but birders and bird photographers (ok, general naturalists, too) would use this guide? Maybe I am short of imagination, but no other group comes to mind. The authors go on: “If not [a birder or a photographer], turn right because this route is easier to describe.” This lead me to my second remark – while it is clear that it may be hard to impossible to explain how to follow directions in the bush, that is what the maps are for! Many chapters are dealing with larger areas, 20 to even 40 kilometers across, shown only at that one full-page map. While it is perfectly sufficient for smaller areas, in larger areas it is an invitation to get lost. Such cases call for one (or two) more maps, showing exactly how to find your route in those tricky sections. I travel with my lap top for years already, dreaming of an opportunity to leave it at home and enjoy a digital detox. While it is useful to study in the evening the satellite images of the area you intend to explore in the morning, given the opportunity, could you resist checking your e-mail? Or your bloody Facebook profile? Can you run off the grid? For some regions, it is possible to buy locally produced high-quality maps, yet the only solutions that come to mind to do before the trip is to study Google maps and Google Earth, print the images and mark the routes identified, or to relay on GPS, but do keep in mind that local dirt tracks full of birds will not be in your GPS maps. To conclude, the text is excellent, bird photos beautiful but over-plentiful, while landscape photos or smaller site maps are missing altogether. Still, I have waited for this edition far too long, and I am glad I bought the book and know I will enjoy using it. Great review, Dragan. And, good criteria for evaluating a birdfinding book–best birding sites, maps that will not get you lost, info on habitat, and a useful proportion of bird photos to maps. I like it. “Yesss! !” to good maps! I remember birding in Spain in 1995 with what seemed to be an excellent site guide. The problem was that the maps and descriptions just weren’t very clear and we ended up not finding around 50% of the sites or getting lost trying to follow the routes. This was highly frustrating! For the last several years, wherever I was in Greece, it was possible to buy some very good locally produced hiking maps, sometime printed on waterproof paper. It may already be the case with the most of Greece, I am not sure. It is also easy to recognise those good maps – they are the most expensive ones. Hello Dragan, do you have any recommendations for field guides to birding in Athens and Santorini? You could contact wildgreece editions to see when the English version will be published. And I think you can download it as a pdf. I have a pdf copy. I believe it was at least partly EU funded, hence freely available electronically. Its a good guide. Its just a shame it is hard here in Greece to maintain facilities such as hides. And many places have absolutely no kind of marked pathway or anywhere to sit, place rubbish etc. A practically untapped opportunity here really.